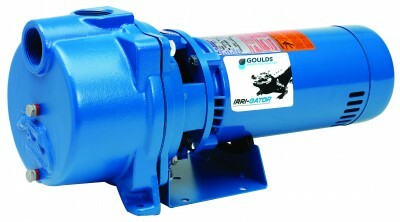 Goulds Water Technology has over 155 years of experience in the latest pump design and manufacturing systems. They are committed to the highest quality based on full performance test on every pump made. With vertical or horizontal multi-stage, end suction centrifugal or submersibles in stainless steel, cast iron, or bronze, Goulds can fulfill a diverse range of application needs with proven dependable designs and service. 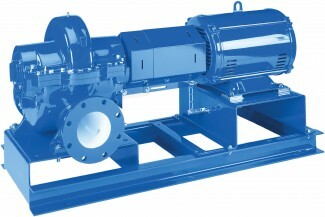 There are pumps for booster service, liquid transfer, spray systems, water circulation, dewatering, light chemical and a wide range of other industrial applications. 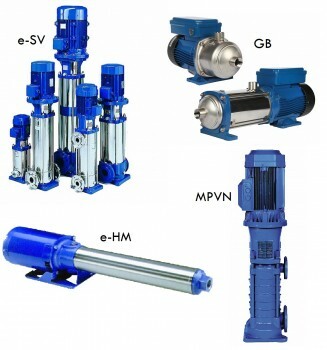 Goulds Water Technology product offerings include single stage end suction centrifugal pumps, AC series pumps, multi stage centrifugal pumps, self-priming centrifugal pumps, submersible pumps, and turbine pumps. 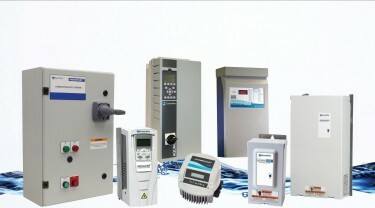 Goulds also offers variable and fixed speed pump controllers and complete packaged solutions. The single stage centrifugal pumps offer a full range of flows and pressures for many needs. The self-priming pumps are ideal for applications where the water level is below the pump and there are models that can handle both clean fluid and fluid with solids. 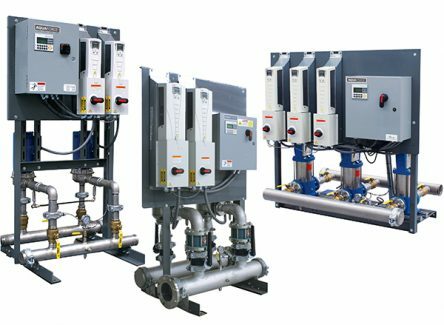 The high pressure multistage pumps have an increased range size and efficiency and are compatible with Hydrovar or Aquavar CPC Variable Speed Pump Controllers. See below for all of Goulds models. Goulds Centrifugal pumps come in a variety of configurations and materials of construction. Goulds offers close-coupled or long coupled pumps, enclosed or open impellers, and flanged or NPT connections. Materials include stainless steel (SS), cast iron (CI), all bronze (AB), and bronze fitted (BF). 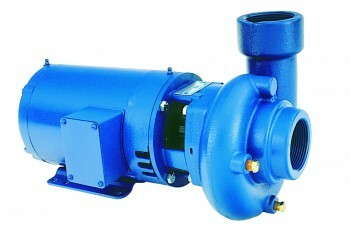 These centrifugal pumps range from 4 GPM to 5000 GPM. Below is a list of the single stage end suction centrifugal pumps Goulds offers. Goulds offers lineshaft, submersible, and surface mount turbine pumps with bowl diameters from 5” to 30” and flows up to 20,000 GPM. These pumps can be used for deepwell or shortset applications and are available in stainless steel and cast iron constructions. 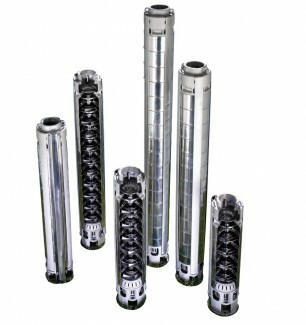 There are also various types of configurations to accommodate suction and discharge locations. Goulds variable and constant-speed pressure boosting packages include TechnoForce, Aquaboost, 70M and 70E packages. These packages are simple, pre-engineered variable and constant speed stations that provide hydraulic capabilities from 20 GPM to 220GPM and boosts up to 55 PSI. They provide superior energy efficiency, better system protection, and consistent performance with changing system demands.